Outdoor Activities - Andinia Blog: Do you really need axes for camping or survival purposes? Do you really need axes for camping or survival purposes? Axes are really useful tools and they are even very effective close-combat weapons in the right hands, but are they really necessary in most outdoor or adventure scenarios? 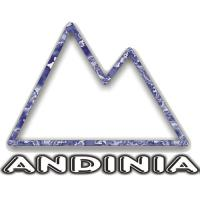 Thanks for participating in Andinia blog! The Blog for outdoor sports, nature and adventure enthusiasts. Copyright Andinia.com. Powered by Blogger.